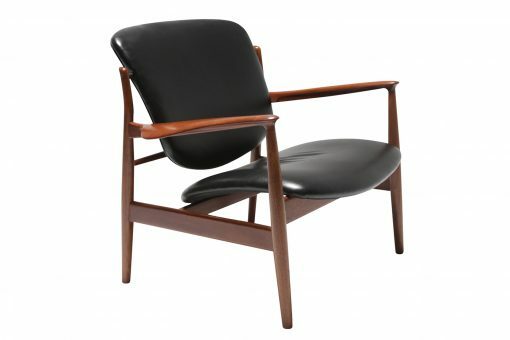 Mid century modern Danish Designer Finn Juhl designed this handsome leather and teak armchair. ‘France and Son’, the prestigious furniture manufacturers, produced this easy chair throughout the 1950’s. A sculptural piece of furniture that is considered to be the most intricate of the designs that France and Son manufactured. Mid century modern Danish Designer Finn Juhl designed this handsome leather and teak armchair. ‘France and Son’, the prestigious furniture manufacturers, produced this easy chair throughout the 1950’s. A sculptural piece of furniture that is considered to be the most intricate of the designs that France and Son manufactured. With it’s original gorgeous black leather upholstery and beautifully grained teak, we really feel that this is a very special chair. The highly sculpted solid teak frame supports an equally sculpted seat cushion. 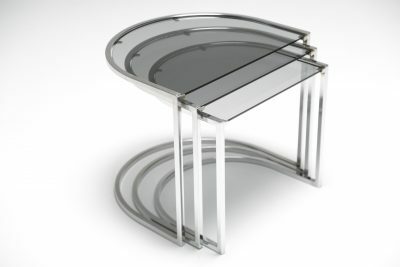 We just love that the seat appears to float above the frame on the enameled brass supports. In addition, the underside of teak frame is double gilt stamped with ‘FD’ and ‘Made in Denmark’ as per the photo. This chair is without doubt in beautiful vintage condition. The only addition we have made is to the seat stuffing by our expert in-house Upholsterer. The benefit being that it has returned this easy chair to it’s original comfort level. 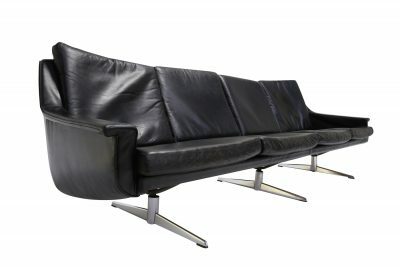 There can be no disputing that Finn Juhl was one of the leading figures in the promotion of Danish design in the 1940’s. The introduction of Danish Modern design to America was credited to Juhl. This ‘FD 136’ armchair is a classic piece of design. It looks as modern now as it did 60 years ago. Very good vintage condition. Original upholstery.